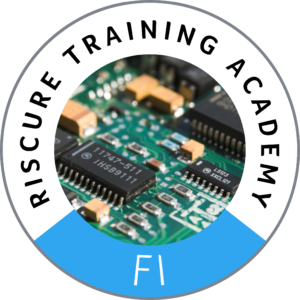 At Riscure, we have over 15 years of experience of performing fault injection attacks. We develop state of the art tools which are now worldwide standard. We are regularly speaking at conferences such as BlackHat, HITB, FDTC where we present novel results in the area of fault injection. This course is intended for developers, security evaluators and researchers focused on embedded and connected device testing, government organizations seekingto analyze threats posed by state-of-the-art fault injection attacks. The course does not require specific experience. Having general knowledge about embedded systems is a plus. The exercises use the Inspector suite to demonstrate how to test for fault injection. However, you do not need Inspector to gain the relevant knowledge through this course. A final exercise will assist you in building your own fault injection setup with Inspector for your own target. For this, having an Inspector setup available is however the only way to actually perform the attack yourself. 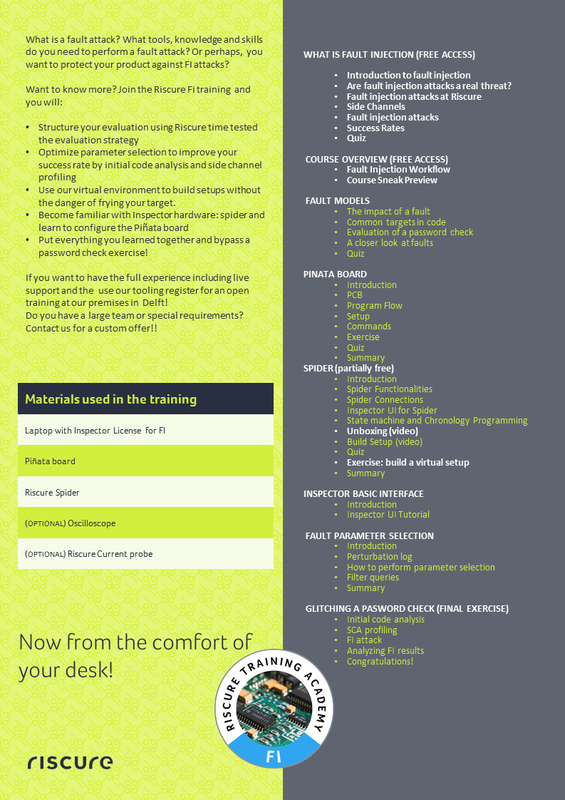 Take a peek at this course!